Serenbe is a New Urban village, located in the semi-rural area within the city limits of Chattahoochee Hills, Georgia, in Fulton County, Georgia, in the Atlanta metropolitan area. According to the village's website, Serenbe has about 170 residents as of January 2012. 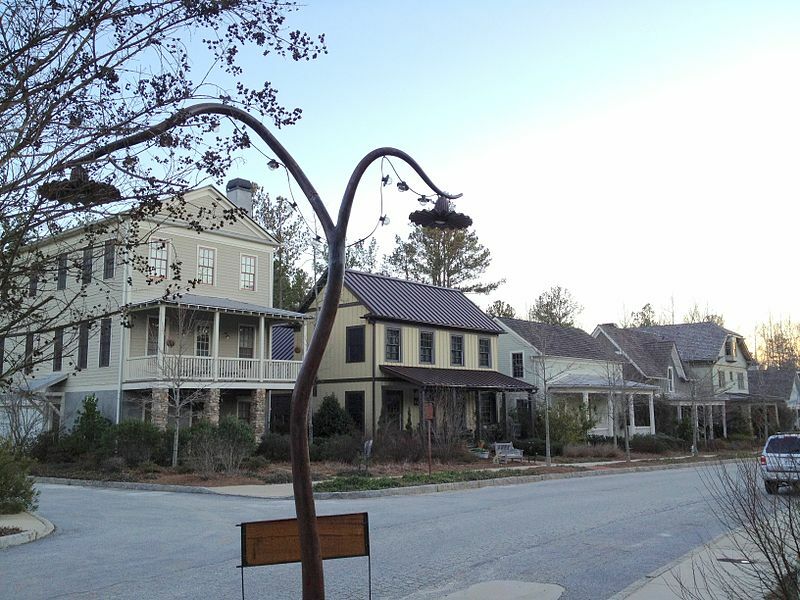 Serenbe has drawn national attention as an example of New Urbanism in the South. With its organic farm and land-use plan that encourages conservation of agricultural land, Serenbe is at the same time an example of Development Supported Agriculture, a nascent movement in real estate development that preserves and invests in agricultural land use. The village is also noted as a destination for visitors seeking to experience its New Urbanist design, its natural setting and its farm-to-table restaurants, shopping and accommodations. Serenbe's residences consist of single family houses and row houses. All have front porches, and none have backyards, but rather face on common greenspace and trails. Close proximity to shops and services encourages walking. Architectural styles include Arts and Crafts-style cottages, loft-style townhouses and sleek modern "boxes". Serenbe was developed by Steve Nygren, a businessman who had built up and sold the Pleasant Peasant restaurant chain. Nygren bought a weekend home and land in the area, and in 1994 moved there full-time. In 1996 Nygren and his family opened the Serenbe Bed & Breakfast. The name "Serenbe" was his wife Marie's idea, and refers to the serenity of the location. The Farmhouse restaurant at Serenbe has become a showcase in the Southeast for the farm-to-table movement.Marie Nygren was the daughter of the owner-operator of Mary Mac's Tea Room, a longstanding destination in Midtown Atlanta for Southern food, and Marie manages the kitchen and menu at the Farmhouse and other culinary programs in Serenbe. Serenbe includes a 25-acre (100,000 m2) organic farm which supplies the three restaurants in Serenbe as well as Eugene's restaurant in Atlanta. There is a weekly farmer's market on Saturday mornings.